← What is Your Plan to Teach Someone to Obey Everything that Christ Has Commanded You? 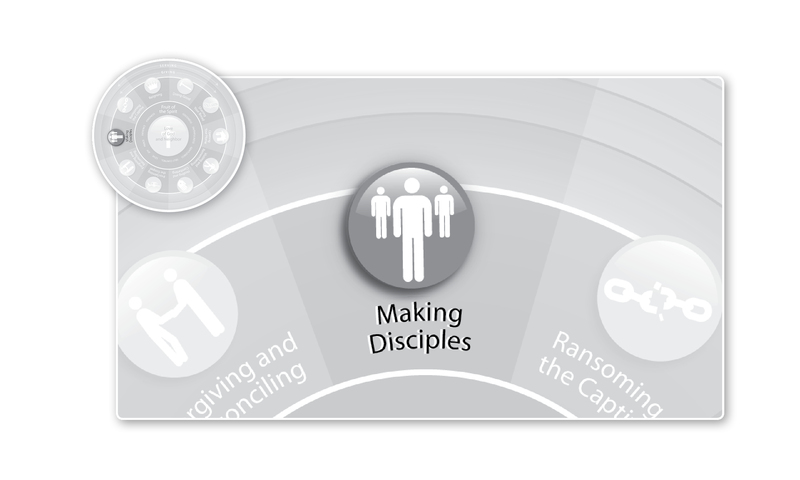 The most neglected passage of Scripture related to the Work of Mercy of making disciples? a noble task desires he. 2Therefore, an elder must be blameless, the husband of one wife, stable, sensible, respectable, hospitable to strangers, and teachable. 3He must not drink excessively or be a violent person, but instead be gentle. He must not be argumentative or love money. 4He must manage his own family well and have children who are submissive and respectful in every way. 5For if a man does not know how to manage his own family, how can he take care of God’s church? The logic behind verse 5 is as compelling as it is neglected: If we have not first undertaken to teach our own children to obey everything Christ has commanded us, how could we possible be successful in teaching that to others? I learned to preach first in seminary and later (and still now) in front of my own children, and there is no comparison as to which makes one a more effective preacher. And by preaching in front of my own children I don’t mean conversations around the dinner table in which I help them to splice Scripture together with their lived experience as they tell me about the problems and opportunities they faced that day. That’s a vital part of Christian family life, but it’s not preaching. By preaching I mean a prepared message. You know, the gospel. And teaching them to obey everything Jesus has commanded me. And by teaching them to obey everything Jesus commanded me, I don’t mean family devotions. Family devotions can be good, but they can also reinforce in children and young adults the idea that the Christian faith is a kind of multivitamin supplement to reality. By teaching them to obey everything Jesus commanded me, I mean a systematic plan. The Whole Life Offering project and the .W Church both began as Mrs. Foley’s and my plan to teach our children everything Christ had commanded us. According to 1 Timothy 3:1-5, it really had to be that before it could be used by churches and discipleship programs around the world. But that’s to misread 1 Timothy 3:1-5. If in a church a member falls into sin, the pastor does not resign. The pastor and the congregation members disciple the one who has fallen into sin. Same thing with children. Don’t wait until your children are perfect to engage in Christian service beyond your family. Scripturally, you’ll be waiting until Jesus comes. So don’t settle for family devotions. Christ doesn’t command us to have devotions with our family. But he does hold us accountable for teaching others to obey everything he has commanded us, and 1 Timothy 3:1-5 puts our children front and center in that process. So as we kick off this month’s focus on making disciples, do yourself a favor and buy this book–the best one on family worship, which, fortunately, is also one of the slimmest books you’ll read in a long time. It’s Donald Whitney’s Family Worship. While it doesn’t contain a plan for teaching your children everything Christ commanded, it will help you establish the framework in which you can successfully carry out such a plan. This entry was posted in Making Disciples and tagged .W Church, 1 Timothy 3:1-5, family worship, The Whole Life Offering. Bookmark the permalink.